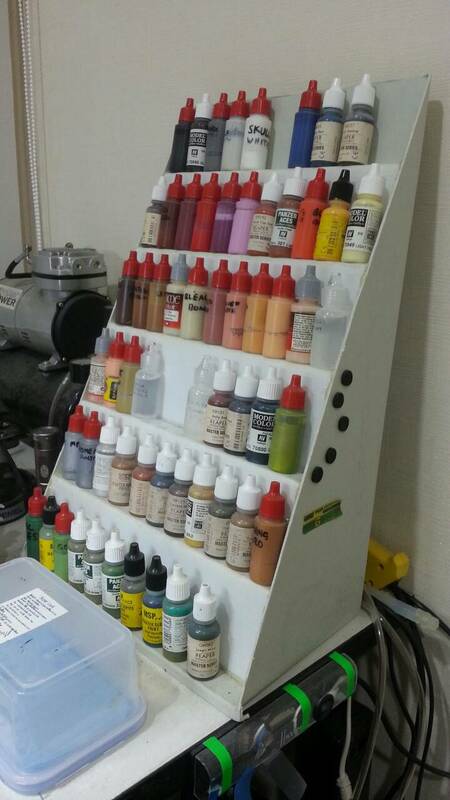 Mr Papafakis: Making a better/cheaper paint rack. My desk has been cluttered for quite a while now. 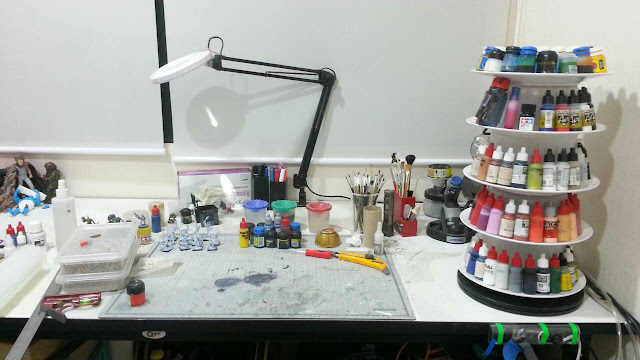 Mostly with modelling detritus, but also with two large paint racks. I made them almost two years ago as a stop gap. They have served me well, but I'm going to be putting my PC back together soon (after being packed away for about three years) & I'll need more room on my desk for a monitor. These old mofo's had to go! & a corrugated plastic support frame attached at the back. Now for the piece de resistance!!! 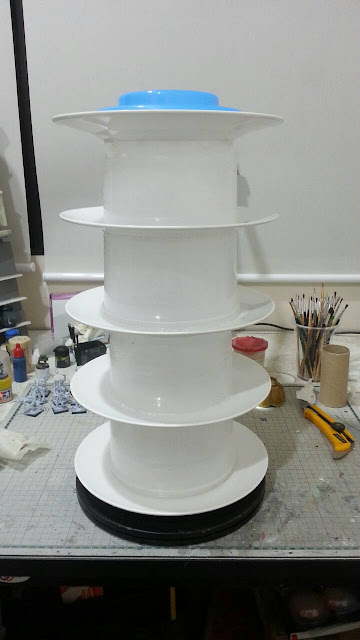 Firstly, I thought of the most space efficient storage rack I could think of, one mounted on a turntable, so that all the sides of the paint rack could be used. Second, I considered the cheapest & easiest material I could find. 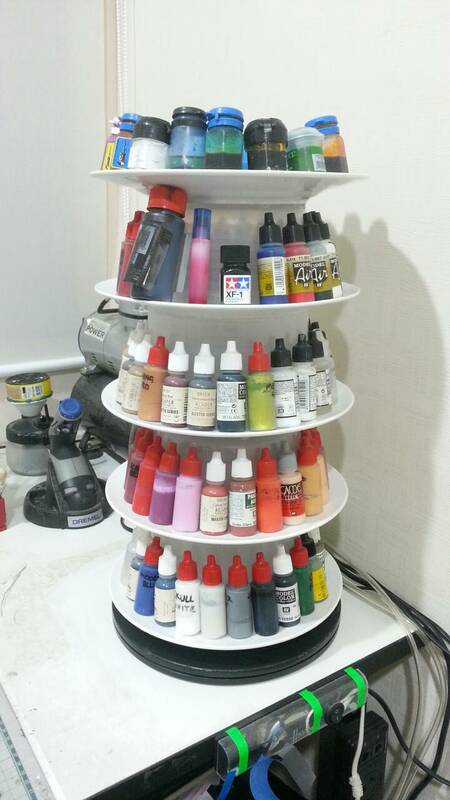 After all, it's only gotta hold mini paint bottles! 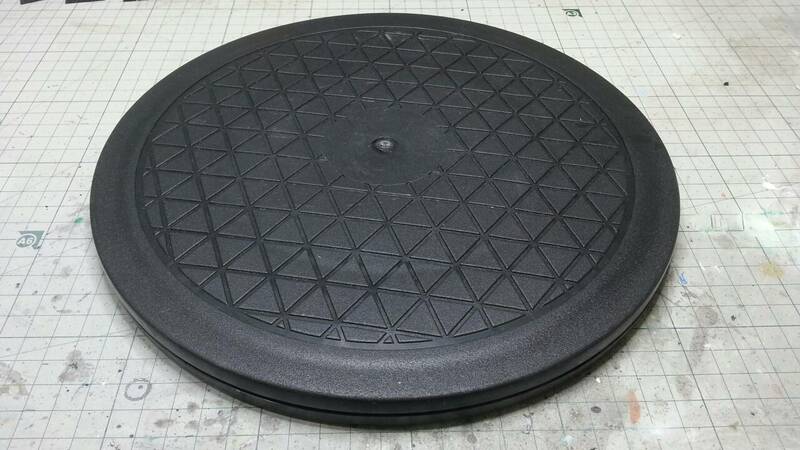 The most important part of the project, a plastic turntable. 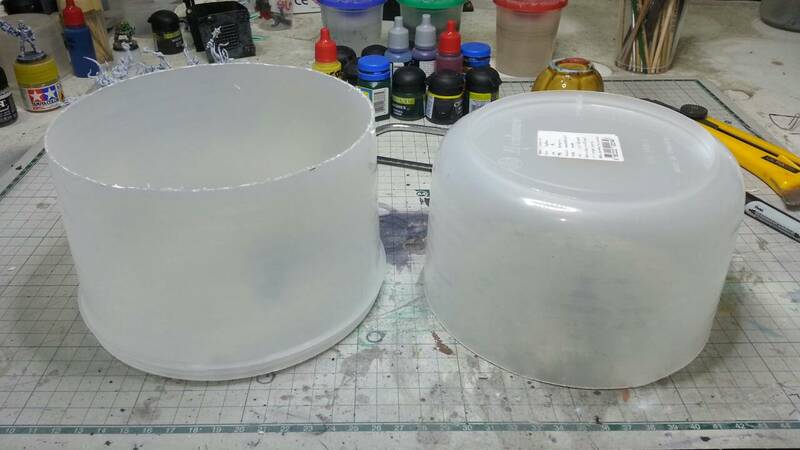 Cut the containers in half. 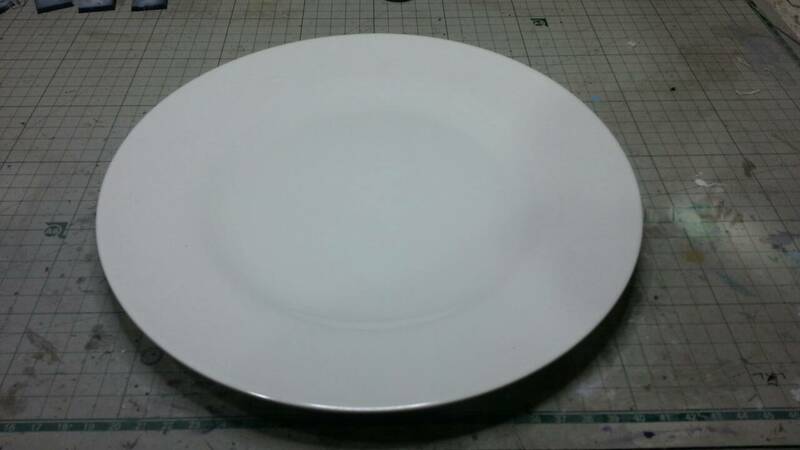 I actually wanted to make this thing ages ago, but I couldn't find a cheap enough turntable. They were either made out of aluminium or beautifully turned out wooden types, all expensive....for me. I stumbled across this black plastic one in a discount shop last week. 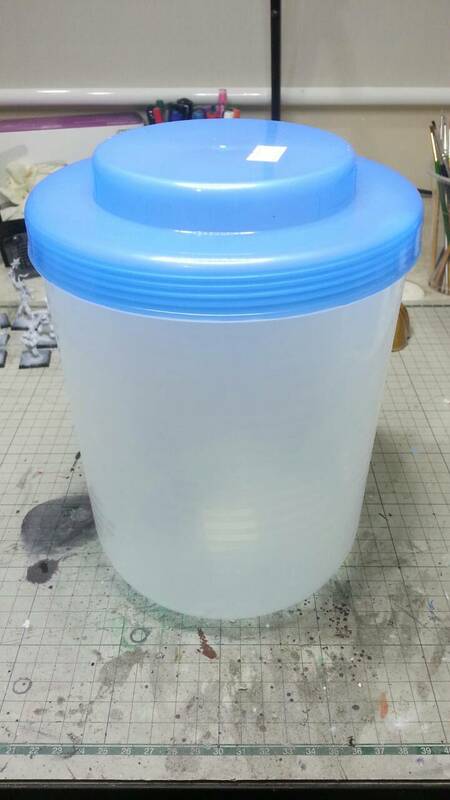 I was so stunned to find a perfect unit for my project that I think I may have scared the shop assistant with the gleeful expletive that escaped my lips. Anyway, I was happy, stuff her & her socially accepted norms. This rack holds all of the paints I had on both racks, is the same height & takes up less of a foot print on my desk too. It's a win all round as far as I'm concerned. I now have a whole lot more room on my desk that I can now fill with other stuff. I'd never have thought of that... I'm about to move house and will have to build myslef a new hobby space in a reduced place, Maybe this will come in handy. I like that a lot. Actually, this is probably the quickest & cheapest hobby related project I've ever attempted. 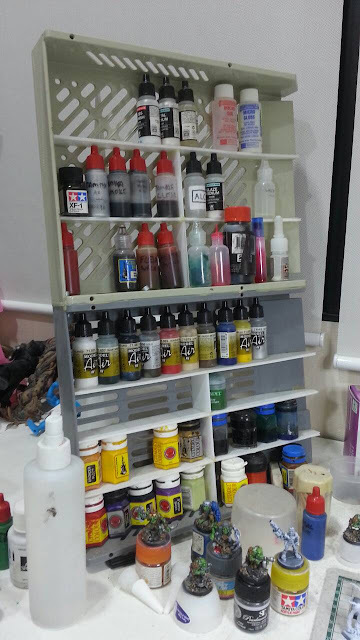 It's amazing how much space paint racks can take up, especially after 25 odd years of hobbying. Nah, this is just where I glue my fingers together & escape reality. The magic happens downstairs in the bedroom.